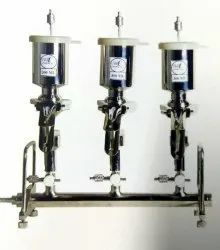 Our range of products include sterility test unit (single place), sterility testing unit, sterility testing equipment and sugar dissolving tank. 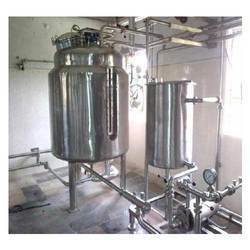 We are leading supplier of Sterility Testing Unit. combined manifold for vacuum and flushing, filter holders three-way valves. Essential parts of the units are a combined manifold for vacuum and flushing, filter holders three-way valves. Mirror polished to 220 grit. Looking for Sterility Testing Unit ?